The UD Student Alumni Ambassadors (UDSAAs) want to hear your thoughts on student programs and different initiatives on campus. 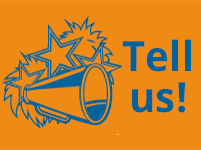 Help influence their programming by completing this quick survey and be entered to win one of several Main Street gift cards or an Apple Watch. What’s Cookin’ with the UDSAAs? The UDSAAs have been busy in the kitchen whipping up recipes from the UD Alumni Cookbook. 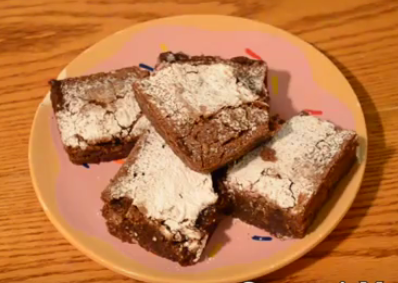 Prepare Anne’s Blue Hen Brownies and impress your friends with these scrumptious treats … assuming you want to share them. SCPAB's Annual Senior Fling honors the University's graduating class but is open to all students. Celebrate the Class of 2018 with games, inflatables, food, prizes and live music! Join the party on Friday, May 11 on the North Green. Entry is free. Senior year is unlike any other year. You want to soak up your remaining time at UD but also plan for what lies ahead. Here’s some fun and informative programming designed just for you! 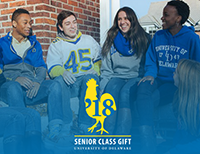 Start your Blue Hen legacy by supporting a UD RSO, academic program, scholarship or other area of personal interest to you. Join your fellow seniors and make a gift of $20.18 today! Friday, May 11 | 11:00 a.m. – 5:00 p.m.
Monday, May 14 | 7:00 – 8:30 p.m.
Wednesday, May 16 | 5:00 – 7:30 p.m.